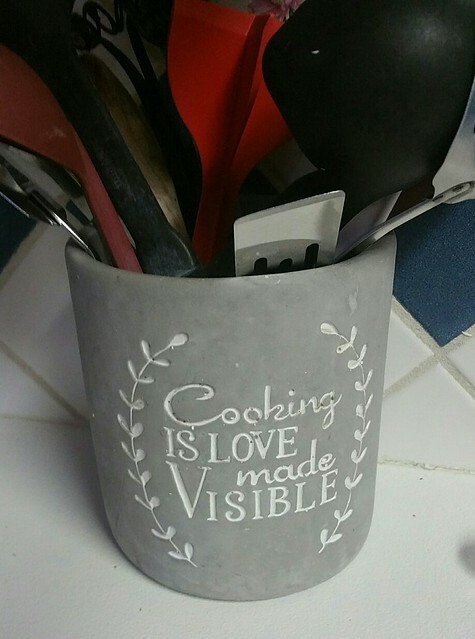 My mother has a jar in her kitchen with the phrase, “Cooking is love made visible.” I can say for a fact that her food spreads a lot of love, and I think the same could be said about school food service professionals. 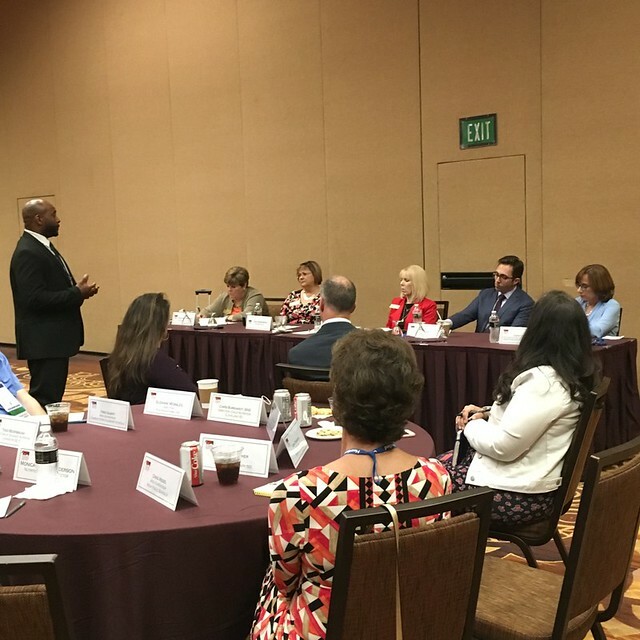 I recently attended the Annual National Conference of the School Nutrition Association, where I met many devoted school food professionals who serve on the front lines of USDA’s National School Lunch and School Breakfast Programs, ensuring our children are well-nourished throughout the school day. One thing that was abundantly clear about the folks I met was how much they care about the programs and the children they serve. The School Nutrition Association Annual Conference draws thousands from across the nation. For anyone not familiar with the conference, it is a huge gathering, drawing thousands from across the nation and featuring hundreds of educational sessions and a truly impressive Exhibit Hall. This year, staff from USDA’s Food and Nutrition Service spoke at nearly thirty sessions, hosted several resource booths in the Exhibit Hall, and operated a customer service center where we provided on-the-spot technical assistance. I had the opportunity to speak at the conference’s General Session, and it was a pleasure to thank school food service staff, industry, and the Association for all their efforts and share with them USDA’s vision for the school meals programs. I also had the chance to hear the inspiring story of Chef Jeff Henderson, a TV chef who speaks out about ending the cycle of poverty and childhood hunger. Growing up in poverty – and experiencing the hunger and uncertainty associated with that – led Chef Jeff into drug dealing and eventually prison, but he built a new life for himself through cooking. But the real highlight of the conference, for me, was the opportunity to sit down with a small but diverse group of school food professionals to hear what’s on their mind. I was fortunate to join a listening session where we discussed everything from staff training to procurement to program oversight. I was grateful for all of the thoughtful, honest feedback. Opportunities to hear directly from our customers are extremely valuable – not just for me, but for all of my staff. Customer service is one of our top priorities at USDA, but we can’t provide top-quality service without input from our customers. We need to hear from school food professionals – what tools and resources they need, how things are working on the ground, and their ideas for program improvement – in order to know how to best serve them. Our team has already started brainstorming ways to act on the feedback we received while at the conference, and I look forward to continuing the dialogue. USDA strives to provide schools, States, and our partners with excellent service so they can pass that on to those who participate in our programs. We want to make administering the programs as easy as possible so school nutrition professionals can focus on what really matters – serving our nation’s children nutritious meals to set them up for future success. Opportunities to hear directly from our customers are extremely valuable to USDA. How could we get help with our visionary Farm program where we have crossed a couple of hurdles (GAP Harmonious Certification, too much rain and getting some equipment) but still need help (or a Model to emulate) where we grow our farm, grow our agriscience program, grow fresh vegetables to be served in our schools, and generate enough revenue to hire student Interns and operators from within our student body. We are a very poor & rural district in economically challenged northeastern North Carolina.